Six high brightness RGB LED lights show a more magical lighting effect. PWM function to more intelligently meet the cooling demands of the system. A choice of two ways to control the RGB lighting system by Cable Controller or by RGB SYNC motherboard software*. Anti-vibration rubber design to provide a lower vibration and noise. Multiple-choice control features different modes such as breathing, static state, multi-color switching. The balanced airflow and air pressure is designed to be perfectly compatible with the case and liquid cooler. Support up to 6 pcs of Deepcool RGB devices, such as RF120 fan, Gammaxx GT, Captain EX RGB,RGB Led strips etc. I was a little skeptical of these fans because they were so much cheaper than any PWM RGB fans, Well, there was no reason to be skeptical. The fans feel incredibly well built, run quietly, do a great job of moving air, and look really good. The 3 in 1 provided an extra cable daisy chain 6 fans off of one RGB header, as well as a hub that lets you run up to 4 fans off of one fan header. My biggest concern is the 1 year warranty, which makes me worried about how these will hold up in the long term. Only time will tell. 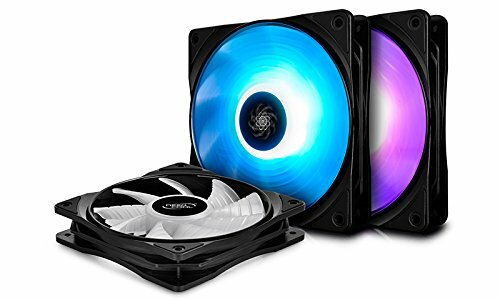 These fans are amazing value. Half the price of other similar fans. They are super quiet. They come with a 4 fan hub, RGB header cable, an RGB controller, and an RGB splitter/extension. 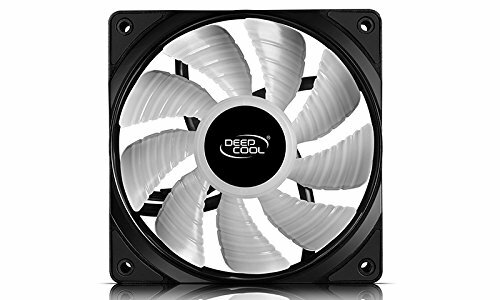 My latest build using the captain 240 and these fans has added Deepcool to my list of brands when looking for parts. 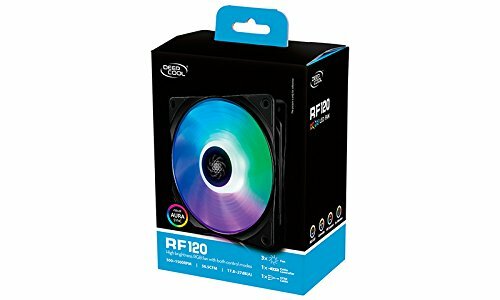 DeepCool RF 120 Cool fans that light up the build. Only issue is that I cant get them to work with Gigabyte RGB Fusion. I picked these up after I liked the DeepCool CPU cooler so much. Good silent fans. Work well with RGB Fusion. These came as a bundle deal when I bought the Deepcool CAPTAIN 240EX RGB AIO, which I was pretty excited about. Pro: The appearance of these fans doesn't feel cheap at all. Transitioning light effects are very smooth are not 'choppy'. 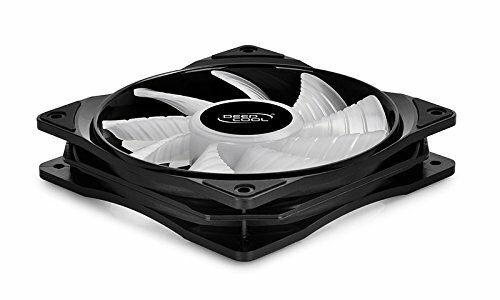 I would say that at around $50, the price-to-performance ratio on these fans make them a top contender on the market right now. Cons: They get loud at higher RsPM. Fortunately, since they are all installed as my front intake, they don't need to spin up too much. But when they do, it's pretty noticeable. If I'm being super-picky, two of mine have stickers on the front that are slightly off-center, so it gives off the dreaded 'wobble-effect'. Again, that's just being picky, though. 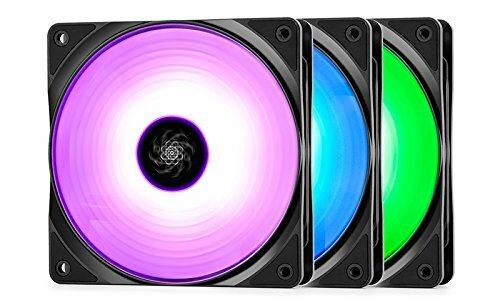 These fans are gorgeous, silent, and have amazing RGB effects that sync perfectly with my MOBO.